The 2019 legislative season hit the ground running. We have already tracked over 250 pieces of legislation that could change the way the fitness industry conducts business in 42 states. While some of the bills we are tracking are not great for the fitness industry, not all news surrounding proposed bills are bad. In fact, we have some good news for the fitness industry operating in Wyoming. In Wyoming, we successfully fought a sales tax proposal! IHRSA submitted testimony and created an advocacy campaign in response to this legislation. IHRSA believes that the government should encourage citizens to pursue regular exercise and healthy lifestyles, not discourage them by taxing health club memberships and services. In Washington state, we’re fighting punitive regulation directly aimed at health clubs. Lawmakers have proposed Senate Bill 5553, which would single out for-profit health clubs that have shower facilities and at least one water amenity, and require them to obtain an operating permit every year from the department of health. Moreover, the bill would dramatically impact services health clubs can offer by prohibiting liability waivers, contracts that are essential for a wide range of organizations, businesses, and companies. Health clubs with these facilities are already subject to inspection by local health officials. In fact, exercise facilities have been proven to not only be the safest places to work out, but also where residents are most likely to achieve their wellness goals. It is in the best interest of clubs to provide a safe and positive environment, given the plethora of options which consumers have. As such, the supposed aim of the bill in “increasing public safety” is undercut by the fact that the bill specifically excludes nonprofit facilities and those operated by schools, colleges, and member-directed organizations. The practice of requiring that only for-profit exercise facilities obtain additional permitting and redundant inspections is punitive and does not protect the public health of all Washington consumers. IHRSA is working with club owners in the state to push back against this legislation. We are seeing an avalanche of biometric and data privacy bills in nearly all fifty states. With data breaches and cultural changes in the way we think about personal data, legislators are seeking ways to safeguard the privacy of consumers and individuals. Biometric information is any information captured, converted, or stored based on an individual’s biometric identifier, which are biological characteristics that are unique to each individual. These are things like fingerprints, retina scans, facial scans, and iris scans. Laws regulating the use of biometric information are already on the books in Illinois, Texas, and Washington. 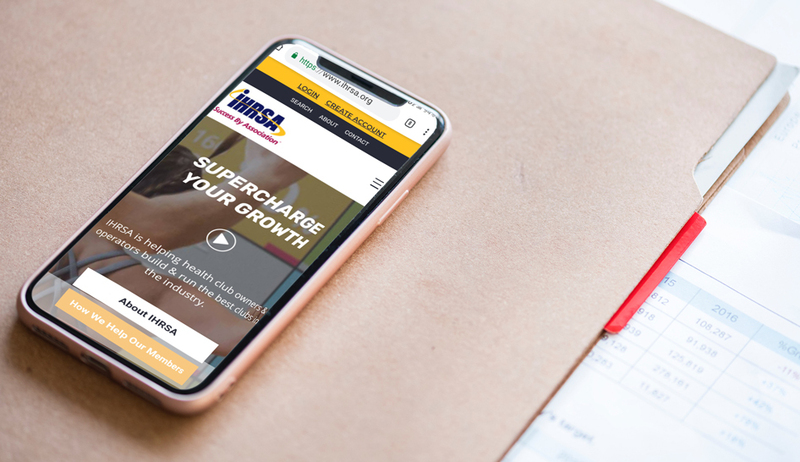 IHRSA supports legislation that protects individuals, companies, and employees’ privacy while ensuring the continued development and use of technological innovation that enhances the consumer experience and management of clubs. Securing the privacy of individuals is an important and worthy goal. The challenge for legislators is how to draw lines in a technological landscape that is continually shifting. Finding the balance between privacy protections and ensuring that people derive the benefits of continued technological innovation and evolution is delicate. IHRSA will continue to work to help find that balance. In the 116th Congress, we are starting fresh in our effort to pass the PHIT Act, but we are not starting over. Already the PHIT Act was introduced in both the Senate and House of Representatives. Sens. John Thune (R-SD) and Chris Murphy (D-CT) introduced PHIT (S.680) on March 6, and Reps. Ron Kind (D-WI) and Mike Kelly (R-PA) introduced PHIT (H.R.1679) into the House on March 12. During the 115th Congress—with your help—we achieved incredible momentum last session and waged a wide-ranging campaign that educated the industry, the public, and the stakeholder community about the benefits of PHIT. We were able to secure 153 sponsors for the PHIT bill in both the House and the Senate. Support was almost equally divided between Democrats and Republicans, indicating strong bipartisan support for the legislation, further improving its chances for passage. Through all of these efforts, IHRSA succeeded in leading the concerted effort which lead to the major success of PHIT passing the House. In 2019, we will be looking for any relevant vehicle on which to attach PHIT. If you have questions regarding any of the legislation mentioned in this article or want to talk to us about regulations you're concerned about, feel free to email our team. In the meantime, check back every month for updates on the latest legislative or legal trends and news impacting your business.